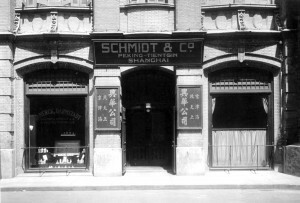 The origin of Schmidt & Co., (Hong Kong) Limited can be dated back to 110 years ago when Paul Schmidt founded the Schmidt Group of Companies in Tokyo under the name of Schmidt Shoten in 1896. The Group opened its first office in Beijing, China in 1911. In the following years, additional branches were established in major cities throughout China and a branch in Hong Kong in 1931. For the next couple of decades, the World War II and China revolution have put the business expansion a halt in a wake of the deprivation of business network and resources. In 1953, the Hong Kong office was re-established and registered in the name of Schmidt & Co., (Hong Kong) Limited and has since then become the headquarters in Asia Pacific. In the early 1960’s, the management recognized the potential of electronic and computer products and since then they became an integral part of the business. The organization continued to gain its footholds in Far East countries such as Singapore, Malaysia and Korea. In 1980s, the company was among the very first companies working together with world-class technology companies to provide Auto-ID solutions to the community in Hong Kong and China and it remains a core business of Schmidt today. From the beginning of 90s, more offices in Thailand, India and Vietnam were established. Today, Schmidt & Co., (Hong Kong) Limited is not only a distributor but a very technical oriented company with strong engineering background and extensive capabilities, supplying no longer the products but the integrated IT solutions that can improve your life in all kinds of ways. The company today employs some 200 staff across Asia. In the future, we will continue to uphold our innovative traditions by keeping abreast with the technology developments to offer most advanced technologies in order to meet the world’s changing needs and bring superior value to our customers.